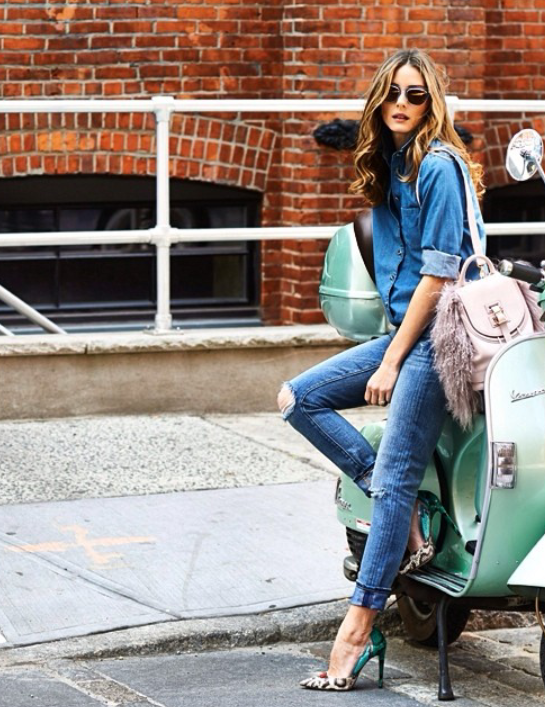 Olivia Palermo just knows how to style denim on denim. Whether it is with a skirt or pants, she just make it look soo easy. This Moschino quilted denim ensemble worn by Jordan Dunn definitely had my attention. I love how she looks simple but yet classy. Who can forget when Rihanna and Beyonce had a B!tch Stole My Look Moment. Both looks are great in my opinion but if I had to choose it would be Rihanna’s. Just because Queen Bee looked like she was trying too hard, especially with that pose. Victoria Secret Angel, Candice Swanepoel from South Africa gives the denim on denim trend a more edgy but yet casual twist. That is it for my Celeb style inspirations on the denim on denim trend. Ladies I hope you took a few pointers.